I’ve been playing with the idea of writing my first interiors post ever since we bought our first house back in June last year. Since then we’ve been busy decorating and trying to put ‘our own stamp’ on the house, which definitely took longer than I first anticipated. Our house is only 20 years old and was more or less in mint condition when we moved in (that was part of the appeal). But whilst the house needed very little work, it still lacked a bit of character and a little bit of ‘us’. 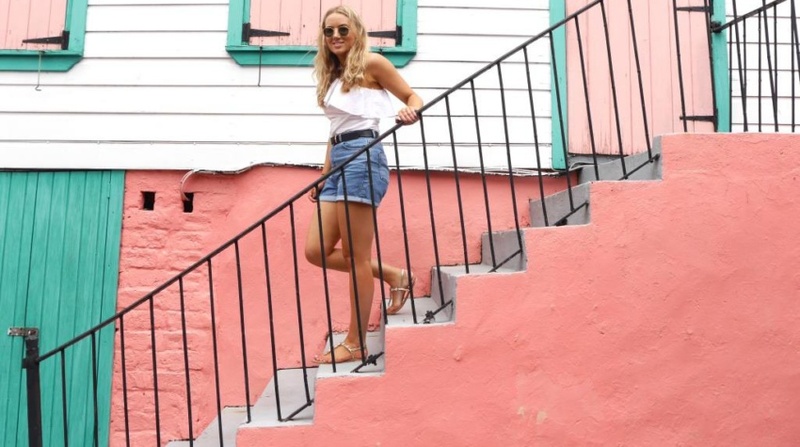 With the help of Desenio, I’ve managed to find a fun and affordable solution. This post is all about how to add personality to your new home, and includes a sneak peak of my newly designed home office. There's also a cheeky 25% discount code for Desenio at the bottom of the post. As a way to some character into our new home, I decided to frame and hang a collection of framed prints that meant something personal to us. All the prints I picked out resonated with me or inspired me in some way. Some trigger a happy travel memory, some encourage me to have a positive mindset and some just make me feel happy or calm. The dream of having my own office came true when bought our house, and from the off I had a vision to make it into a positive and creatively-inspiring space. It’s essentially the third bedroom and the smallest room in the house, so I didn’t want to overcomplicate the space with coloured walls or statement wallpaper. We painted the walls brilliant white and decided to let the prints and objects do the talking. I first discovered Desenio last Summer via Frock Me I’m Famous. At that time, I used her discount code and ordered the pink palm poster and the good life poster in 50x70 so I could add something new to the office straight away. Reading the quotation in the Good Life poster definitely helps me to start the day with an appreciative and positive mindset and the palm trees remind me of a happy, tropical place. I then recently added the pink lips poster in 30x40 and the Prada poster in 21x30 to create a gallery wall. I think the new additions add an additional feminine touch to the office and I love the clean black frames against the freshly painted white walls. I like to think that combination of prints I have chosen gives a stylish and simplistic look. That’s sort of what I was going for. As our bedroom is a shared space, it needed to feel less feminine and more (gender) neutral. We painted the back wall behind our bed a gunmetal blue and left the rest of the walls white to keep the space light and bright. Scott and I picked out these two (50x70) prints together, and decided we wanted a mixture of nature and scenery, something to make us feel calm before we sleep. We picked out the Matterhorn Mountain poster because it reminded us of the scenery we saw on our recent trip to Canada (although Matterhorn is actually in The Alps). We also both love animals and were drawn to the white tiger print for no other reason than the fact he is beautiful! With simple black frames I think the prints definitely add character to what was a very minimal bedroom. The final place where we decided to inject an extra bit of character with Desenio posters was our downstairs bathroom. We haven't done anything to this space since we moved in, but I do have some future DIY plans for the summer. 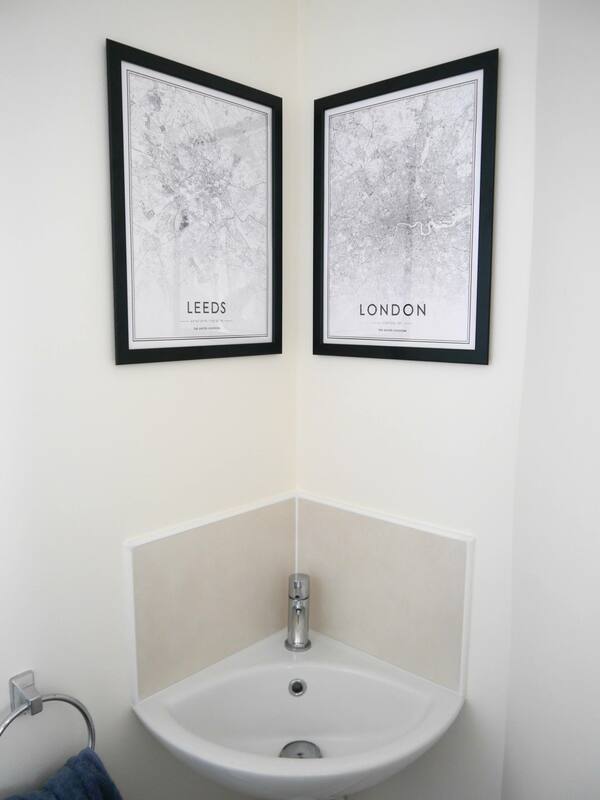 In the mean time, adding these two maps (in 30x40) above the sink has really added a personal touch (the reason being that Scott and I met whilst we were living in London, and now we live in Leeds together). Desenio has an amazing selection of maps and cities posters and I think they are amazing way to add memories and personality to your new home, especially for travel lovers. 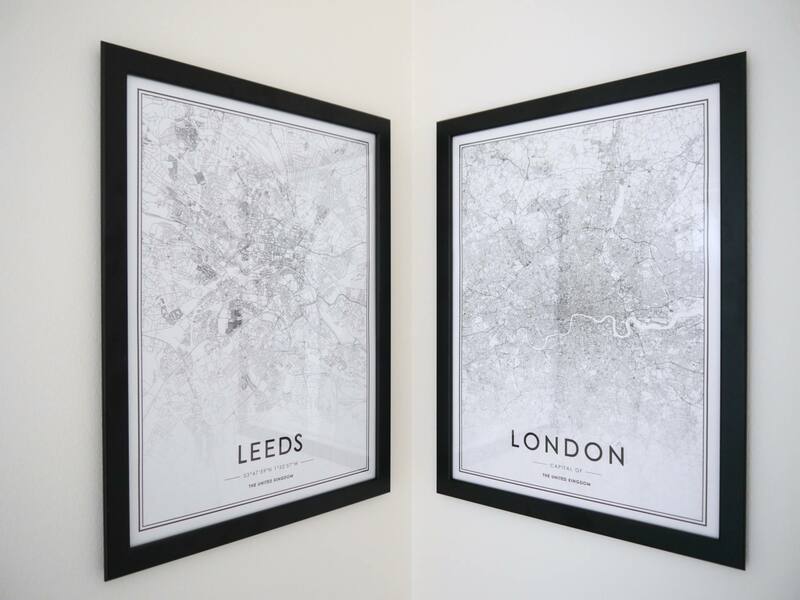 Once framed, I also think these maps and cities posters make a great gift for those with a case of wanderlust. 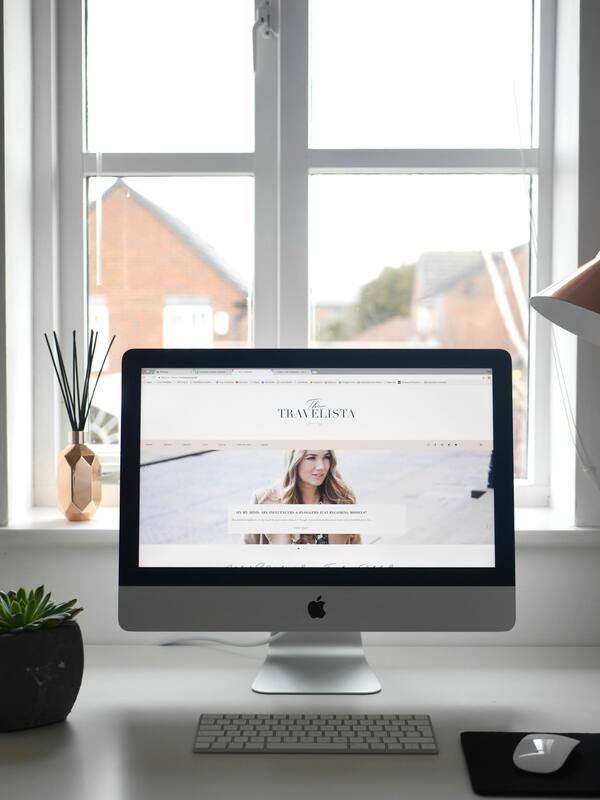 If you’re inspired to create something similar in your home, the code ‘thetravelista’ will give 25% off posters* between 10th - 12th of April 2018. 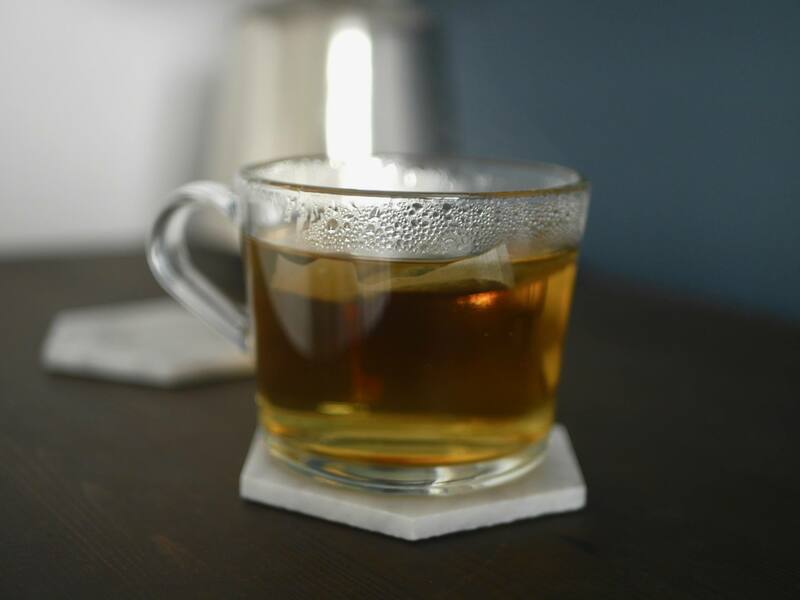 This blog post has been created in collaboration with Desenio. All photos and words are my own. They look great, love how each one has a reason or memory behind it.